Mimecast Limited, a leading email and data security company, has announced it has acquired Ataata, Inc.
Ataata is a cybersecurity training and awareness platform designed to reduce human error in the workplace and help enable organisations to become more secure by changing the security culture of their employees. The acquisition will allow customers to measure cyber-risk training effectiveness by converting behaviour observations into actionable risk metrics for security professionals. The addition of security awareness training and risk scoring and analysis strengthens Mimecast’s cyber-resilience for email capabilities. 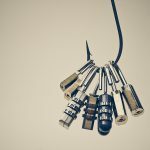 According to research Mimecast conducted with Vanson Bourne, 90% of organisations have seen phishing attacks increase over the last year, yet only 11% responded that they continuously train employees on how to spot cyberattacks. This spans organisations of all segments and sizes including major airlines, government, healthcare – or any other industry. Training is considered hard to implement as these organisations often lack resources and the right content to help raise the awareness of what to spot. The acquisition of Ataata will offer customers a single, cloud platform that is engineered to mitigate risk and reduce employee security mistakes by calculating employee security risk based on sentiment and behaviour while connecting them with relevant training that is content based on their score and recommended areas for improvement. 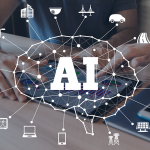 The solution is designed to allow security teams to dial up security settings at the employee level by leveraging real-world data to train employees to spot threats that are targeting them. “Human error is involved in the majority of all security breaches, and these casual mistakes can cost organisations money, their reputation and, for employees, potentially their job,” said Michael Madon, Chief Executive Officer and Co-Founder of Ataata. “Organisations need to understand that employees are their last line of defence.